It seems that the rumors are true and thanks to Darren Aronofsky and The Wrestler, Mickey Rourke's career is about to take a turn for the better. 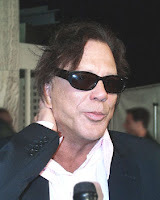 THR is reporting that Mickey Rourke is close to signing on to play the villain Whiplash, in "Iron Man 2." Rourke has also announced that he will co-star in Stallone's "The Expendables" and "The Informers" so as long as he can deal, Rourke is definately looking to make a decent comeback. The news gets better. 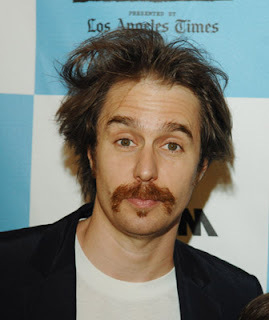 Sam Rockwell is also circling a role as Justin Hammer in Favreau's "Iron Man 2." Landing Rockwell who rarely does anything but independant productions would definately add to an already star studded cast of Robert Downey Jr., Gwyneth Paltrow and Don Cheadle replacing Terrence Howard. Whiplash also known as Blacklash, has taken on a few different forms within the Marvel Universe, but it appears with the addition of the character Justin Hammer, Favreau and Theroux are developing the story angle in which Blacklash aka Whiplash, is working for Justin Hammer, a multi-billionaire rival of Tony Stark. If you recall in Iron Man where Rhodes has two jets chasing Iron Man, they were called Whiplash 1 & Whiplash 2, just another one of Favreau's many easter eggs for fans of the comics. Whiplash who was an brilliant engineer and weapons designer had expert fighting skills with nunchakus and whips. Whiplash designs two cybernetically controlled whips that could be converted into nunchakus or vaulting poles. The whips couls also spun so fast that Whiplash is able to deflect bullets and various weaponry aimed in his direction. 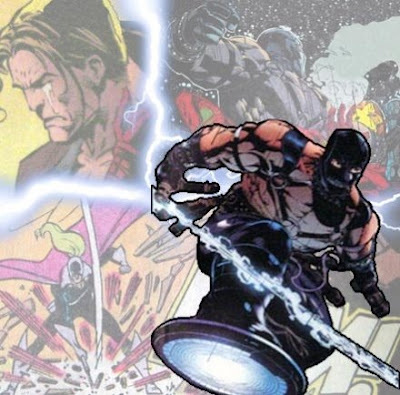 Lastly, Whiplash's necro-lashes could be electrically charged by his gauntlets, released from its handle to deliver a concussion charge, or he could turn up the electric charge to its maximum which caused anything it hit, including Iron Man’s armor, to become brittle. One note from Whiplash's past, he was never able to defeat Iron Man, it was a very bitter subject with his character and a constant source of resentment for him.